Clowns are more creepy than funny. It’s just a fact. But recent real-life “creepy clown sightings” have forced schools to shut down , escalated to actual crimes, and caused general mass hysteria in several parts of the U.S. There have even been reports that these clowns may have chased children or lured them into the woods. *Shudder. * This whole thing is somewhere between slight WTF and actual living nightmare. But could this whole clown thing just be an elaborate gonzo marketing scheme to promote the upcoming movie, It? Internet conspiracists seem to think so. The most famous creepy clown in cinematic history is Pennywise. 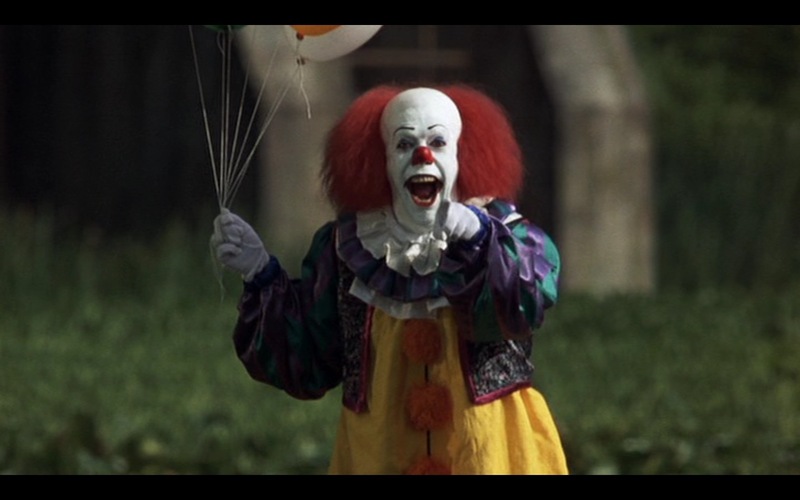 Tim Curry immortalized the role in the 1990 classic miniseries from Stephen King’s, It. The film reboot is set to hit theaters in 2017. Pennywise loved to terrorize children, and creep up in places that are least expected. So do the creepy clowns! But…filming for the It reboot ended two weeks ago. Screenwriter and producer Barbara Muschietti commemorated the wrap with this super-creepy Instagram. We’re still not convinced that the clowns aren’t one big viral marketing campaign. Fair enough. How about this? Today, The Hollywood Reporter reached out to the production company for It and thankfully, got a clear answer. "New Line is absolutely not involved in the rash of clown sightings." Okay then! And what about Stephen King? Has he commented on the clowns? Unfortunately, no. I'm excited for the IT move. Because we all float down here, Georgie. And you'll float, too. Want a balloon? While we’re glad for a Stephen King blessing on any reboot, that still doesn’t explain these awful clowns! Until we get answers, it just feels like we’re all living inside an alternate season of Stranger Things.